According to the long-held media consensus, buttressed by Democrats' repetition of their preferred narrative, Republican Sen. Dean Heller of Nevada was supposed to be the most vulnerable incumbent in Congress' upper chamber this cycle. There's no question that he's in a tight race, and both parties are pouring resources into the Silver State battle; President Trump was just in town, as was former president Barack Obama. Heller may well lose if Nevada's blue-ish hue asserts itself, with an assist from Harry Reid's in famous political machine. But as of this writing, the GOP Senator holds a slim lead in the RealClearPolitics polling average, edging his challenger by a slim 1.7 percentage point margin. He could win this race. 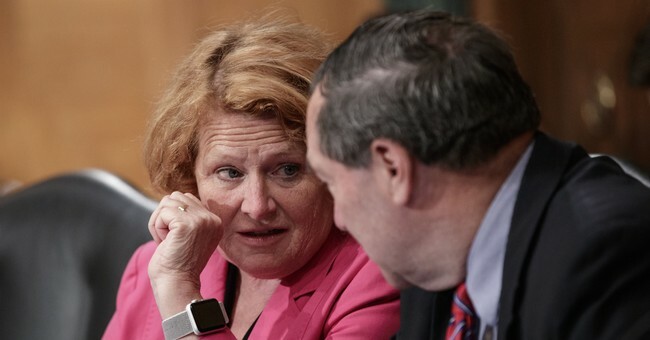 He is certainly not the most endangered US Senator fighting to retain his or her seat. North Dakota, Missouri and now Indiana look like they're breaking the GOP's way. Arizona also looking a bit more favorable for GOP. If Rs win those four states -- and hang on in Texas and Tennessee -- would be a two-seat pickup. 53 seats.